Kenneth R. ‘Ken’ Nopwasky, age 82, Joplin, passed away at 5:18 p.m. Sunday, December 10, 2017 at Mercy Hospital. Ken was born December 30, 1934 in Crucible, Pennsylvania to the late Charles and Grace Randall Nopwasky and was the eleventh of a family of twelve children. Ken was raised in Crucible and attended public school through the eighth grade. He then attended Cumberland Township High School where he participated in football and basketball, graduating in 1954. Ken enrolled at West Virginia University, working various jobs, including the coal mines. He joined the United States Marine Corps on January 27, 1957. Following boot camp at Paris Island, South Carolina and advanced training at Camp LeJune, North Carolina, he was assigned to a guard detachment at NATO Headquarters in Naples, Italy for two years. Ken was honorably discharged on October 22, 1959. He went to work for Crucible Steel Company in Midland, Pennsylvania then went on to work for the M.W. Kellog Construction Company in Joplin in 1960. He transferred within the company to Toledo, Ohio in 1961 and returned to Joplin in 1962. Ken worked for the City of Joplin Engineering Department from 1962-1969. He attended night school at the former Joplin Junior College and later received a Bachelor of Science Degree in Sociology and Political Science from Missouri Southern State College in 1970. Ken was employed by the Ozark Regional Planning Commission from 1970-1974 and the Missouri Department of Mental Health, Division of Alcohol and Drug Abuse from 1974-1981. Ken worked at the Market Development Division, Agriculture Development Fund from 1981 until his retirement in 1995. In his spare time, Ken enjoyed golf and traveling. He and his wife took several trips to Europe, including Italy, France, Switzerland and Germany. When he gave up golf, Ken enjoyed going to horse races. 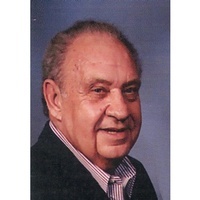 He was a lifelong member of Elk’s Lodge #501; Briarbrook Golf and Country Club; St. Peter the Apostle Catholic Church and longtime member of the Joplin Family Y. Ken was a veteran of the United States Marine Corps. He married Betty Royal on April 8, 1961 in Joplin. She survives at the home. Additional survivors include a daughter, Elizabeth Anne ‘Beth’ Nopwasky, Joplin; a sister, Ruth Yelenik, Dilliner, Pennsylvania; and many nieces and nephews. In addition to his parents, Ken was preceded in death by siblings, Ed, Bill, Harry, Robert and Eugene Nopwasky; Ethel Utterback, Millie Vukovich, Anna Belle Durkin, Edith Burton and Valiera Nopwasky. Services are planned for Wednesday at 8:30 a.m. at St. Peter the Apostle Catholic Church. Rev. J. Friedel will officiate. Interment will follow at Ozark Memorial Park Cemetery. Pallbearers will be Joe McKenzie, O.D. Blue, Ken Lovett, Joe Tichota, Bill Allen, Larry Cowger and David Burton. The family will receive friends Tuesday from 6-7:00 p.m. at Parker Mortuary. Memorial contributions may be made to St. Peter the Apostle Catholic Church, in care of Parker Mortuary.